If you’ve been getting a bit down and extremely jealous of your Friedman friends with exotic travel plans to far away locations-be it because of internships, jobs or vacations — perk up! Boston becomes almost a different city in the summertime. As locals embrace the warm weather the city offers many fun things to do in the warmer months. Whether you will be around for a few weeks this summer, or popping back for a visit, here are some tips for taking advantage of all the city has to offer. Food Festivals: This city plans some serious foodie events. The Jimmy Fund Scooper Bowl is the largest all-you-can-eat ice cream extravaganza in the nation. This year it’s scheduled for June 5-7th from 12:00-8:00 pm on the City Hall Plaza. For a small $10-dollar donation to Dana-Farber cancer research you’ll get to taste treats from multiple ice cream vendors. Another large food event is The Fisherman’s Feast which takes place in Boston’s North End neighborhood, August 16-19th. The festival has been going strong for over 100 years and celebrates Italian fishermen traditions. You can expect lots of street food and people in a vibrant cultural celebration. Hidden Gems: EatBoston puts on a smattering of lesser-known culinary events and Food Truck Festivals of New England will be in the Boston area June 10, 16 and July 28. 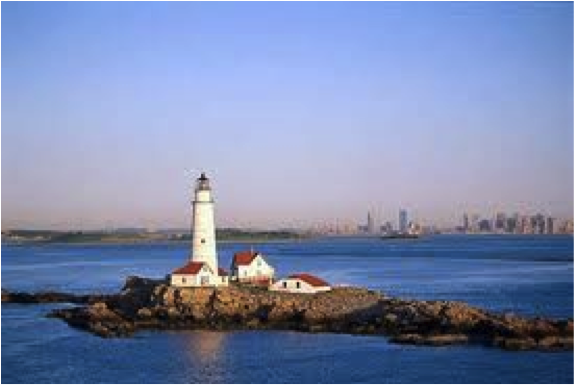 Beaches: Boston has multiple beaches within city limits (and T accessible!). Taking the blue line to Revere Beach puts you across the street from the ocean. 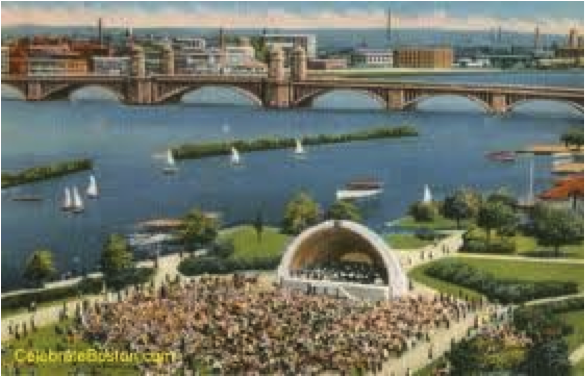 Or take the Red- Line to Broadway, and hop on the #9 and then a bus to ride brings you to Castle Island. Cape Cod, Nantucket and Martha’s Vineyard draw big crowds and for good reason: they have nicer beaches than the city. If you can’t make it out that far for long, consider a day trip to Provincetown. Lovingly nicknamed P-Town, a round-trip ferry ticket from Boston will set you back about $80, but gives you ample time to see the beach, and the unique culture of the town in one day. In the past, the ferry companies have offered deals through online coupon websites, so keep your eyes peeled. Hidden Gems: The Boston Harbor Islands are beautiful, accessible from the city, and somehow fall under the radar of most of the crowds. There are 12 islands and a diverse array of activities such as light-house tours, wild-flower walks, camping, biking and kayaking. Esplanade Excitement: The Boston Esplanade comes alive in the summer with runners, walkers and bikers. But they also do Free Friday Flicks: a family friendly film starting Fridays at sundown and, concerts at the Hatch Shell. 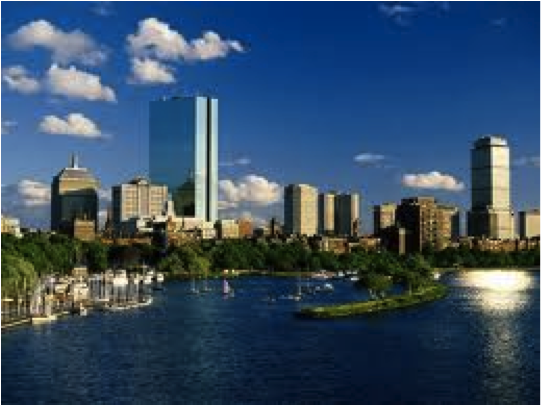 And if you are here for July 4th, Boston has one of the biggest Independence Day celebrations in the country. Hidden Gems: Healthy Fit and Fun offers free fitness classes on the Esplanade starting July 9th. Try a Zumba® class, shape up in boot camp or consider joining a running group. Go to Fenway Park. Even if you don’t like baseball, this historic ballpark is full of excitement. Dine/drink outdoors: There are numerous restaurants with patios and roof-decks. For a cheaper option, plan a picnic in the park. Everything tastes better with some sunshine. Enjoy the wilderness: New Hampshire, Vermont and Western Massachusetts all have great trails for hiking. The Middlesex Fells and Walden Pond are both extremely close to the city but will make you feel worlds away. Farmer’s Markets come to every neighborhood of the city. Chat with local farmers, and stock up on delicious and local foods. Hopefully, you are now looking forward to all the city has to offer throughout the summer. And at the very least, you will have more time to enjoy all things local with finals behind us. Lisa D’Agrosa is a Nutrition Communications student and a registered dietitian. She enjoys yoga, baking and attempting to knit. She can’t wait for local produce, hiking and swimming in New England this summer. Read more @ http://www.simmerdownnutrition.com.